October 6: San Diego Zine Fest! I was eating an amazing piece of pizza at Pizzeria Luigi in San Diego when I saw this. If you aren’t already planning to head out to ABQ Zine Fest in New Mexico, you might want to scoot down to San Diego for this! the WOMEN group is interested having a table at the SD ZINE FEST… Do we still have time to reserve a spot ? 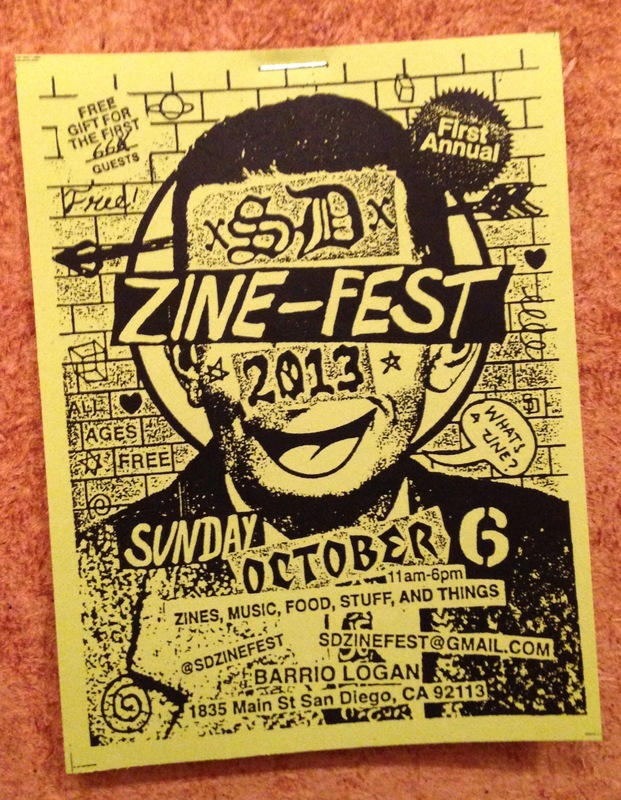 Check in with the organizers of SD Zine Fest at sdzinefest@gmail.com! They’ll have the most up-to-date info on table availability for ya!